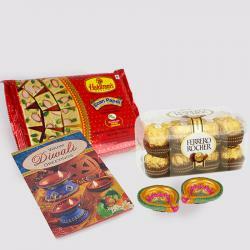 Product Consist : Cadbury Celebration Chocolate Pack (Weight : 118 Gms) and Box of Kaju Katli Sweet (Weight : 500 gms) along with Diwali Card. 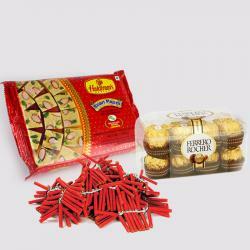 The gorgeous festival of Healthy sweets and Diyas everyone enjoying a royal feast. 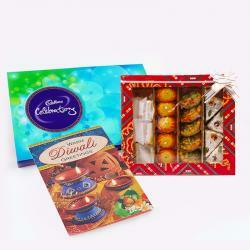 This diwali send special greetings to your loved ones through Diwali greeting card. Cheer the occasion of light and bring the positive vibes everywhere and negativity far away. 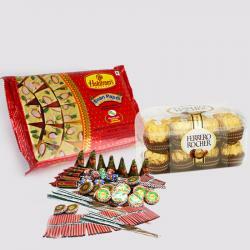 The Chocolates Diwali Greeting card and Fresh Kaju Sweets combo has been designed especially to gift for your dear ones. This combo has ability to change the environment by its simplicity and beauty. 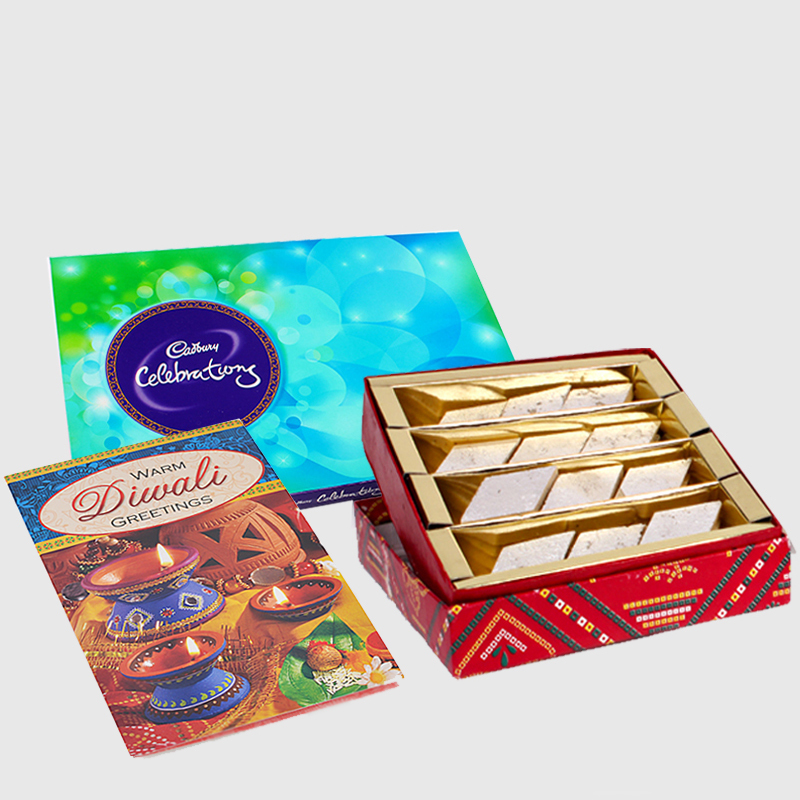 Product Includes : Cadbury Celebration Chocolate Pack (Weight : 118 Gms) Box of Kaju Katli Sweet (Weight : 500 gms) and Diwali Greeting Card.